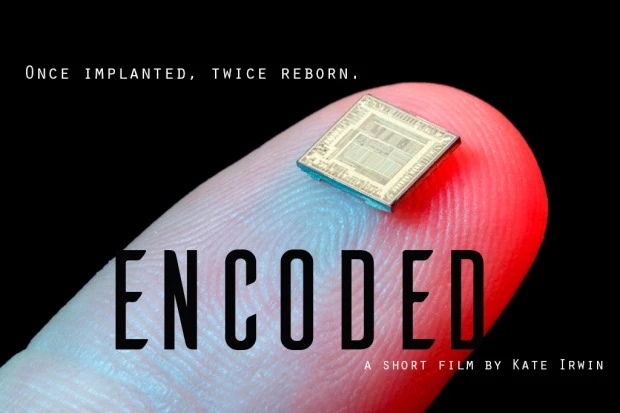 Encoded tells the story of Wyn, an oppressed factory worker living in a society where all civilians produce microchips and computer parts for export. Her life depends on her productivity — the more hours she works, the more likely she’ll receive her next meal. But in this world where money has been replaced with time, where do the microchips go? Wyn has found out, and she hatches a plan to escape her world with the woman she loves. Encoded is a cyberpunk, feminist tale, a trip down the interdimensional rabbit hole. What happens is unpredictable. You’ll uncover a cybernetic world: the world of the transhuman. The script passes the Bechdel test with flying colors and features, in its leading roles, queer women, people of color, and transgendered individuals. Encoded is an independent film seeking to change the film industry’s idea of “normal” to show that, no matter who you are or where you come from, science fiction is for everyone. Currently signed on to the project is acclaimed Austrian cinematographer Tobias Deml (Hangman, Phoenix 9) and producer Marc Estrada. Shooting will take place in Los Angeles in April 2016.